During Hanukkah and Christmas is the perfect time to consider the story of Simeon and Anna. Imagine Simeon an old man, yearning to see the Messiah and the change God had in store for Israel. When Mary and Joseph brought Jesus to the temple to be dedicated, Simeon beheld him and said, “God, take me now … because with my own eyes, I have seen your salvation.” Until then, Simeon led an ordinary life. No miracles or signs and wonders. Suddenly his life had new meaning. Anna was an old woman—a faithful servant—and for her, there were no miracles, no signs, no wonders either. Her life was also ordinary, and then she saw the child and celebrated the yearnings of her soul. In an instant, the mundane had eternal purpose. Simeon had received a message from the Holy Spirit indicating that he would not die before he had seen the Jewish Messiah. Imagine the lifetime of dedication, commitment, and patience that he had for the Lord. Knowing this promise, he could easily have become consumed with other things, but Simeon remained devout. When the prophesied Messiah was about to arrive, Simeon followed the Spirit’s instruction and went to the temple. And when he finally beheld Yeshua for the first time, he immediately recognized him. His eyes had seen the salvation of the world, and now he was ready to depart from it. Simeon did not give a second thought to his own life but was interested only in following the will of the Lord, even unto death. When our yearning hearts are looking, waiting, and anticipating the presence and intervention of God in the common, ordinary events of our daily lives, God shows up! 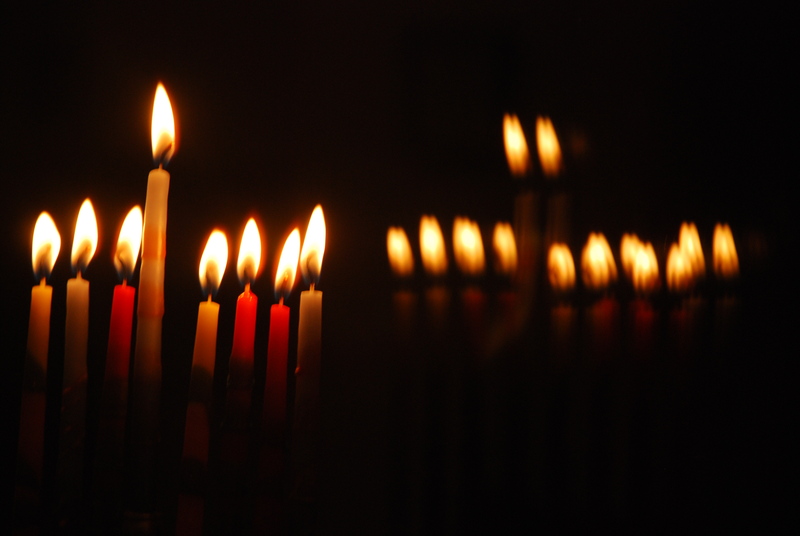 The eight days of Hanukkah are a blessed time of dedication. Take these days to consider your choices and God’s great gift to you in Messiah. Take to heart how God wants to breakthrough your ordinary with surprise and wonder. Let this season be a reminder that God wants to visit His people. Amid the mundane, God has promises to you that He intends to fulfill. Let your expectation arise! Messiah has come! Only in Him, is the true fulfillment of your dreams.